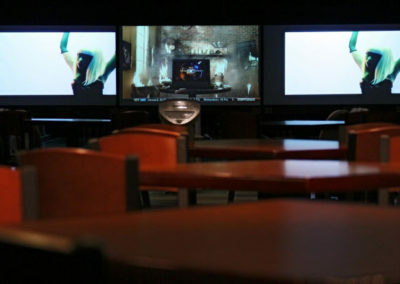 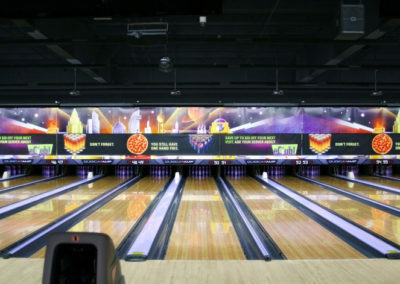 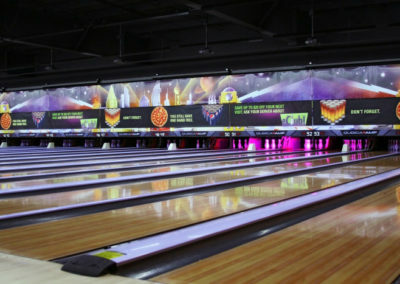 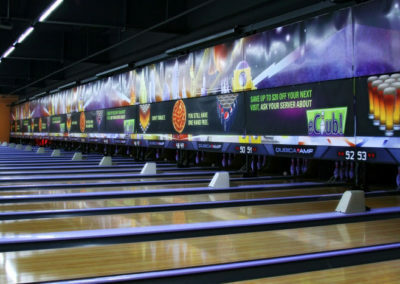 The facility is now a bowling alley by day and has a club atmosphere by night. 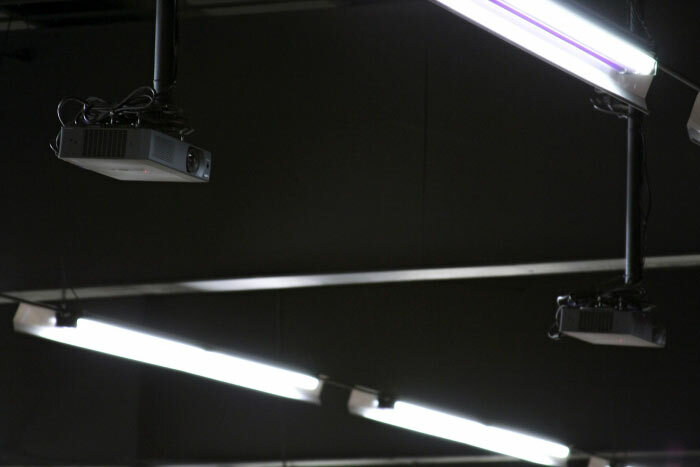 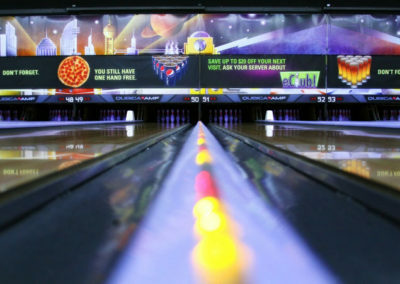 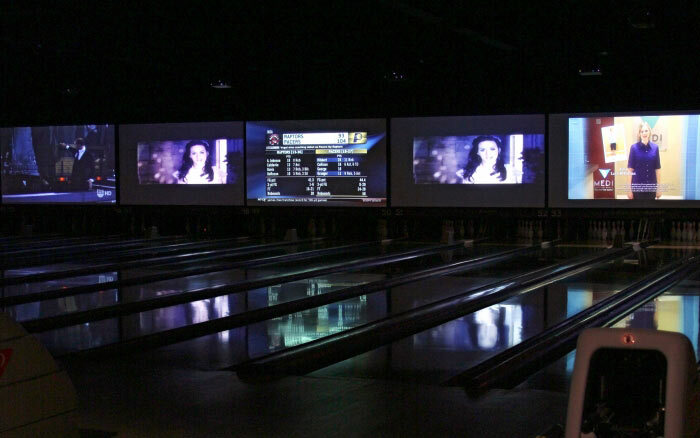 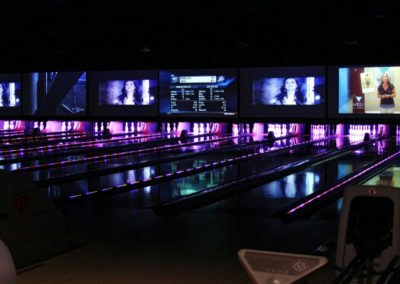 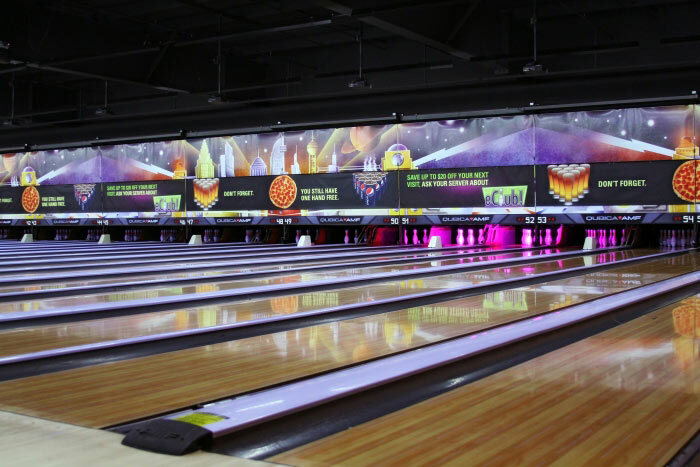 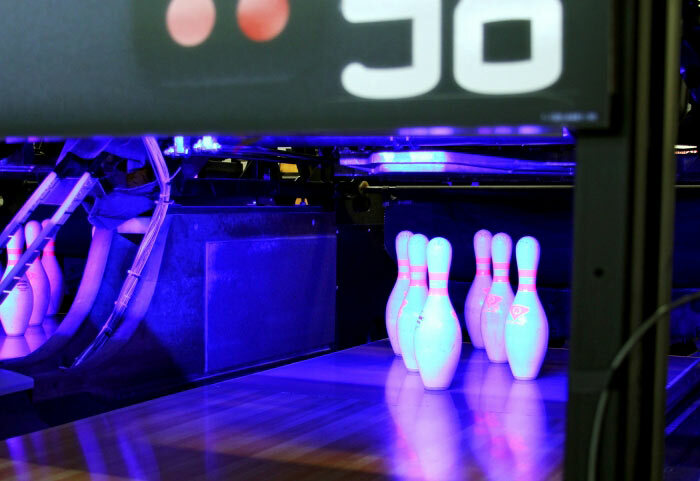 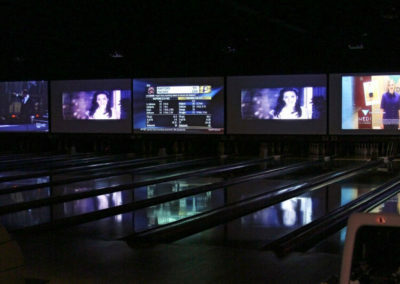 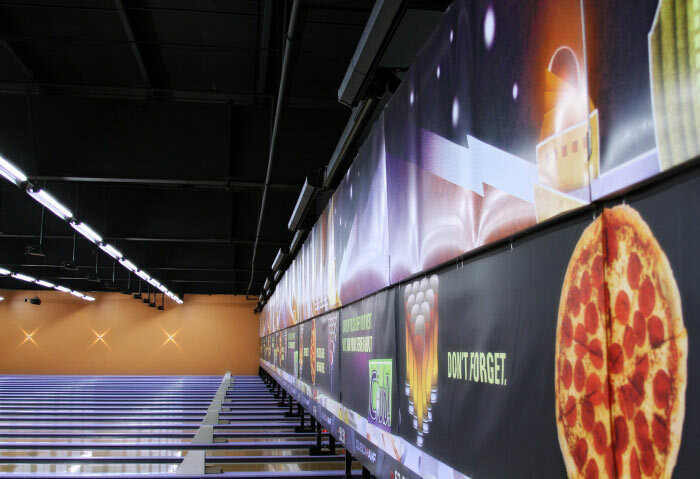 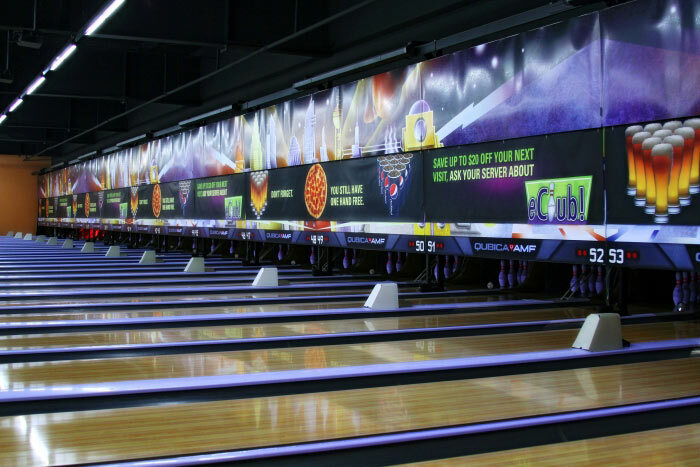 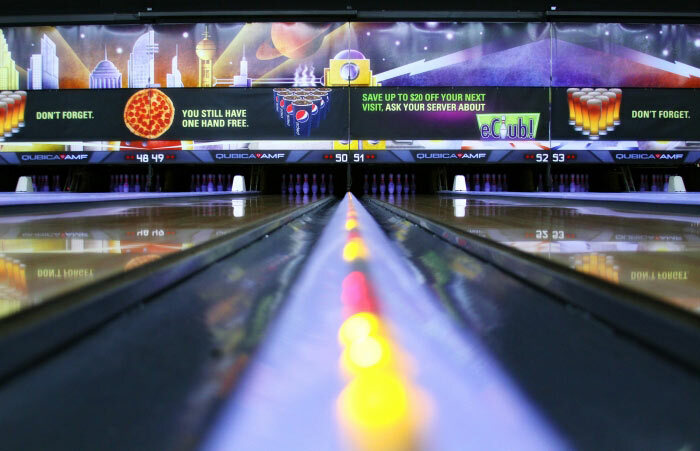 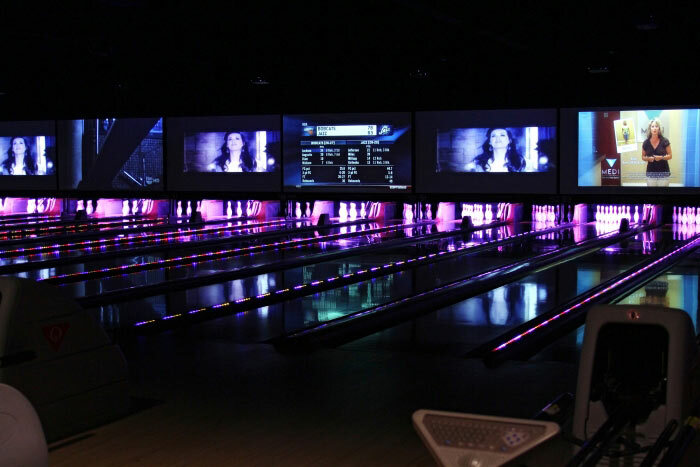 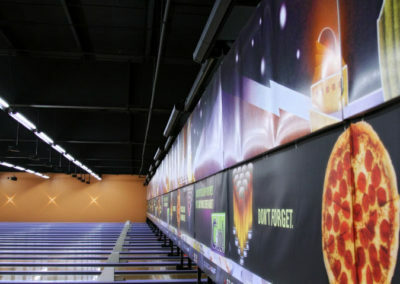 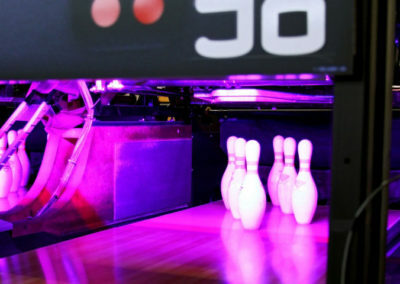 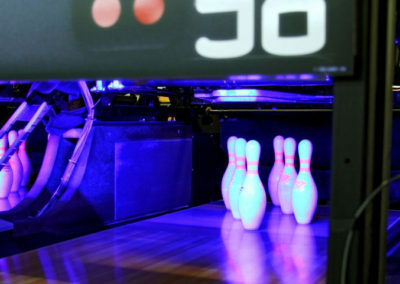 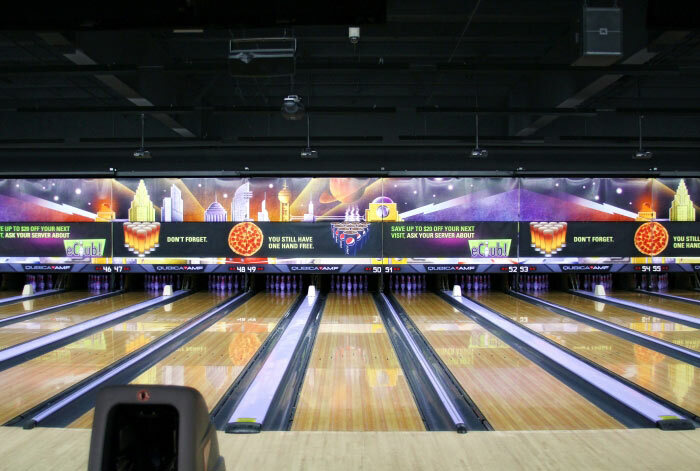 Our installation included projection screens on every lane, moving lights, lane lights, multicolor lights above the bowling pins. 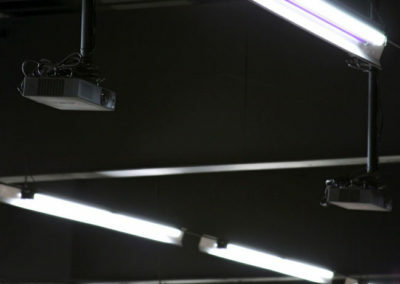 The lighting consisted of white lights for daytime and blacklights for nighttime. 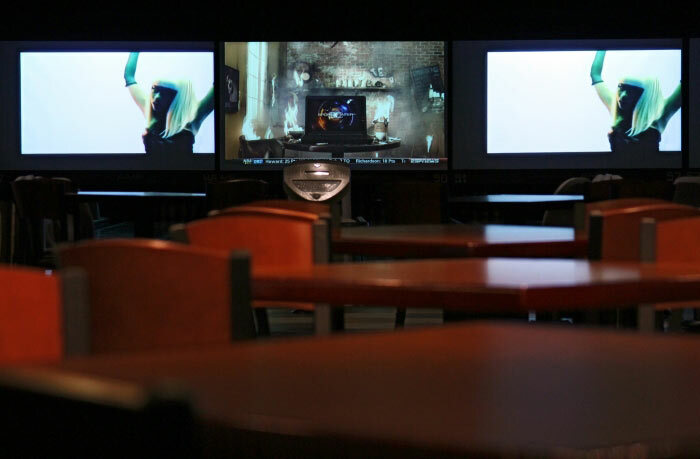 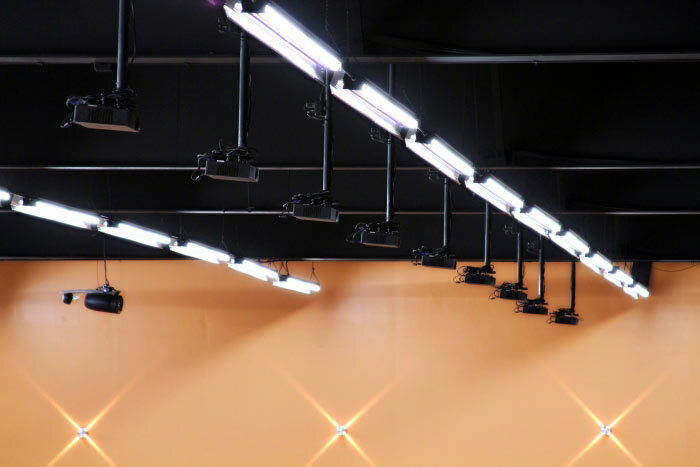 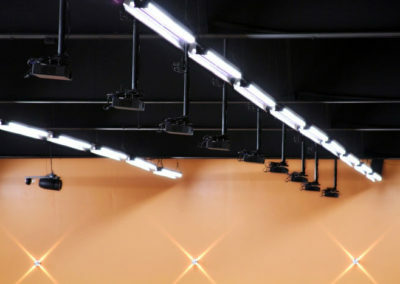 The spectacular lighting is accompanied by a concert-quality sound system, and the entire system is automated with iPad and touch panel control.